Race-capable bike with a slightly relaxed geometry. Very slightly! 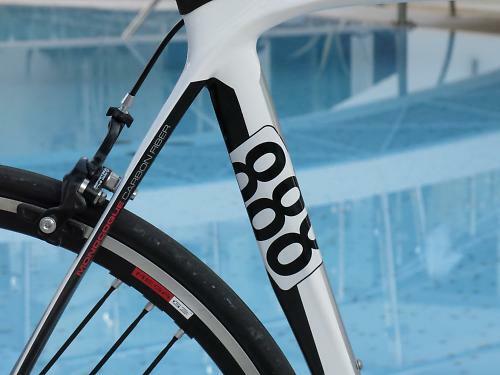 The De Rosa 888 Superking R is a race-capable bike that transfers power really effectively, and the very slightly relaxed geometry will prove popular with many riders. Our man Dave Arthur asked De Rosa if they’d be kind enough to give him a lend of the 888 Superking R for our week in Italy. When it arrived, he couldn’t drop the saddle quite far enough. 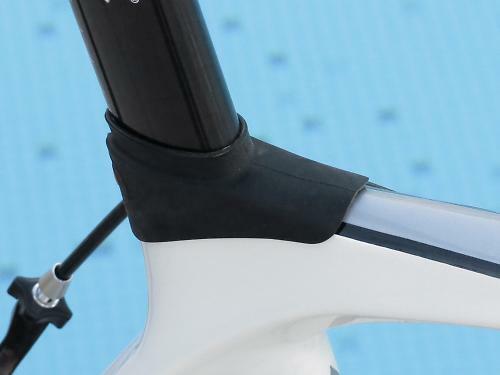 It’s an aero-shaped seatpost and the seat tube morphs in profile as it moves towards the bottom bracket, curving around the leading edge of the rear wheel in a time trial bike style. If this was his own bike, he could just chop the seatpost down a touch and that would be the problem solved. It’s a bit rude to do that on a short-term loan bike though, so I’ve stepped in to ride it. That’s me all over: generous. Always putting myself out for others. So, what do we have here? The 888 Superking – no, don’t be silly, it’s not named after either the cigarettes or the bed size – is De Rosa’s take on a comfort race bike. The usual formula for designing a comfort race bike – or an endurance bike, or whatever else you want to call it – is to cut the length of the top tube, bang some extra height on the head tube, and Bob’s yer uncle. 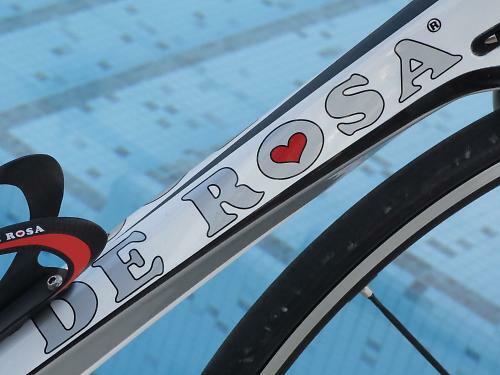 De Rosa have tweaked the geometry in that direction, but only a bit. This is still a very race-centric setup. We have a size 56 888 Superking here. 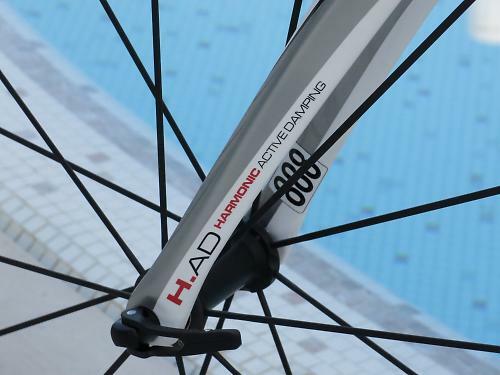 It comes with a 56.7cm top tube, a 16.6cm head tube, a 56.8cm stack (the vertical distance between the middle of the bottom bracket and the top of the head tube) and a 39.4cm reach (the horizontal distance between those points). De Rosa’s traditional race geometry King XS, for comparison, with a 56.5cm top tube, gets a 15.6cm head tube, a 55.7cm stack and a 39.5cm reach. In other words, the 888 Superking’s ride position is pretty much as long as that of the King XS and just a smidge higher. We’re really not talking much, though. 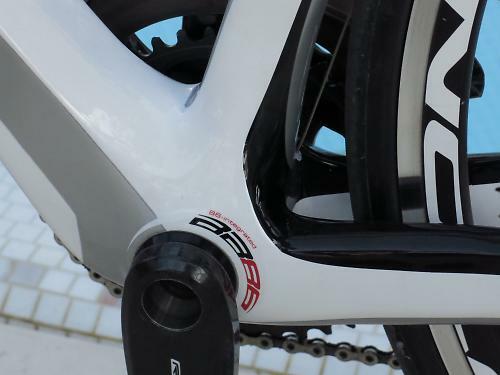 De Rosa have raised the height of the front end about a centimetre. I must say, that really doesn’t bother me because I like a low and fairly stretched ride position. I’ve been hooning around Italy very happily for the past few days with this setup, spending most of my time down on the drops. If you’re looking for something tall and very relaxed, though, this isn’t it. Yeah? That’s as maybe, but how does it ride? You’d have to day that this frame feels very stiff – in a good way. We’ve done a lot of climbing over the past four days, including up the steep Montescudo hairpins (a maximum gradient of 22.5%) where I was really putting a whole lot of pressure onto the pedals to heavy myself upwards. The 888 Superking has felt good throughout, the bottom bracket remaining adamantly in place despite my best efforts. At 7.2kg (without pedals), our bike is light but not exceptionally light for the money. It accelerates well although it doesn’t quite excel in that department. I can’t say we’ve done any sprints during our rides so I just went out and did a few on the coast road to see how the 888 Superking reacted. It’s all part of the service, don’t mention it. If there’s any sideways shift through the frame when you get out of the saddle and sling the bike around, it really is minor. The 888 Superking feels like a top-end race bike in that respect. 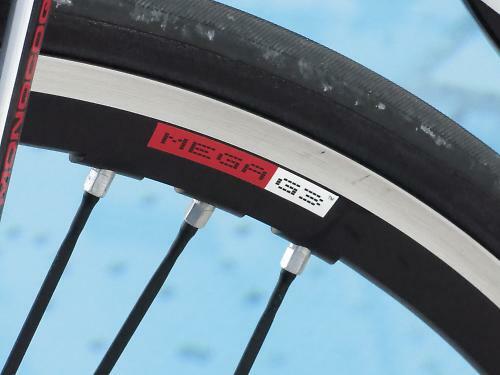 The other feature that De Rosa like to shout about is the 888 Superking’s ability to absorb road vibration. To be honest, the bike has a lot to contend with here because of all the things cycling has going for it in this part of Italy, the state of the road surfaces isn’t high on the list. Or on the list at all, come to think of it. The 888 Superking that I’ve been riding is fitted with a Campagnolo Record groupset, Campag Eurus wheels, 23mm Vittoria Open Corsa CX tyres, and a Selle Italia SLR saddle (it’s my fave). 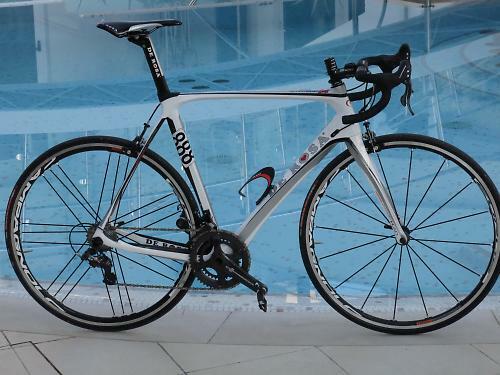 It has an FSA Gossamer aluminium bar, FSA SL-K aluminium stem and De Rosa’s own aero seatpost. I’ve felt pretty comfortable on that lot but I have to say that, although I love the Open Corsas, I think 25mm tyres would make a big difference to the feel of the bike. Why wouldn’t you go with a pair? It’s an easy win. 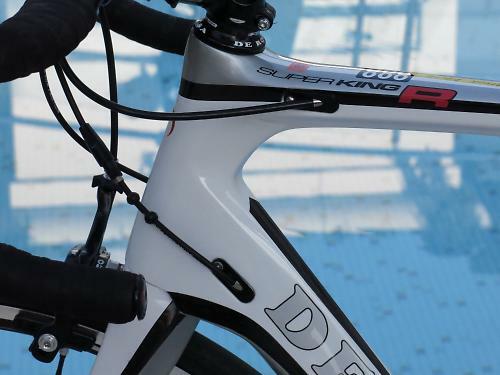 De Rosa’s UK distributor i-ride offers the Superking as a frameset for £2,799.99. Complete bikes start at £3,499.99 for a Shimano Ultegra build. Various other Shimano and Campagnolo builds are available, the range topping out at the Campag Super Record EPS version (with electronic shifting) for £6,999.99. Call it seven grand, shall we? Right, that’s your lot from me. I need to go and eat some pasta ahead of a 125-mile day on the 888 Superking tomorrow. I’m looking forward to it.